lakkhan Raghuwanshi had a bad harvest last monsoon. The farmer from Shyampur village, Guna district, cultivated soyabean, wheat and chana in 121 hectare (ha), of which he sowed soyabean in 61 ha. Despite the high-quality seeds sowed, the yield was a meagre 15 quintals per ha. "I got my land tested and found that the low yield was because of low sulphur (essential nutrient) content in the soil. Earlier, I used to get 25 quintals per ha," he says. Other farmers in the state share the same woes. Raghuwanshi now uses single super phosphate (ssp), a fertiliser to increase sulphur content in soil. "Small farmers, however, are not aware of the problem and are still using sulphur-free fertilisers like di-ammonium phosphate (dap) and muriate of potash (mop). This can create problems for them," he says. Essential component Madhya Pradesh's 150 lakh ha of crop area has a low cropping intensity. Experts say the low output has been triggered by a mild to severe sulphur deficiency in soil. A study by the Bhopal-based Indian Institute of Soil Sciences (iiss) says more than 40 per cent of agricultural soil in the 48 districts--mostly rainfed--of the state is sulphur deficient. "All the districts face the problem, with the magnitude depending on the intensity of cropping," says Mahavir Singh, project co-ordinator, micro nutrients, iiss. A Subba Rao, director, iiss, explains "Plants absorb sulphur from the soil in the form of sulphate (so4) through their roots; and to a much lesser extent from the atmosphere as gas. When it interacts with other nutrients, sulphur intensifies the production. If the sulphur content is less than 10 parts per million, it will eventually affect the crop's potential." Rao maintains that the phenomenon also affects the oil content in oilseeds, reducing what experts call the 'synthesis of plant proteins and enzymes', for which sulphur is essential. Cause and effect Intensive farming method of rotational cropping over the decades have caused depletion of sulphur in soil, augmented by the excessive use of sulphur-free fertilisers like urea. "The depletion is accelerated in pulses and oilseeds like mustard, soyabean and groundnut, which demand high sulphur," says Rajesh Agarwal of the Soyabean Processors Association of India, Indore. But its replenishment was consistently ignored by the farmers and the state government, experts say. According to Mahavir, during the 1980s, soyabean cultivation began in the rainfed and dryfed crop areas in Madhya Pradesh. The government encouraged intensive cropping practices like three crops a year. The 5 million ha of soyabean farmland in the state produces 80 per cent of the country's soyabean production. This comes primarily from the Malwa region, Satpura ranges and the Narmada valley in the state. Mahavir estimates that the soyabean crop yield in the 1980s was 0.8 tonnes per ha and currently it averages from 1-1.1 tonne per ha, an increase of only 0.3 tonnes per ha in the last 20 years even after seed quality and cropping techniques have drastically improved. According to him, the average rate for a quintal of soyabean varies between Rs 1,000 and Rs 1,200. Given this, Raghuwanshi who gets 15 quintals per ha of soyabean is losing an approximate Rs 10,000-Rs 12,000 crop revenue per ha. "There are other causes for the loss, but sulphur replenishment can save at least half the loss. If one rupee is spent for sulphur correction, the farmer can benefit Rs 5 to Rs 12, depending on the crop," he says. Experts say that the use of canal water and rainwater for cultivation also do not supplement the sulphur loss. According to Rao, except in the industrial areas, rain water contains less sulphur. Crops irrigated with water from tube wells or groundwater stand a better chance of replenishment since it contains salts. While flowing, water in canal loses sulphur and it eventually drains sulphur out of the soil it irrigates, says Rao. In many instances, the problems occur without a visible symptom but at some places it has been observed that leaves become pale-yellow or light green, especially in plants which are small with short and slender stalks. iiss recommends easily-available fertilisers like single ssp, ammonium sulphate and ammonium phosphate. According to Mahavir, using 8-10 tonnes of farmyard manure per ha can also help correct micronutrients deficiency. Adding 40 kg of sulphur per ha by spending about 300 kg of ssp per ha annually will step-up productivity, he says, adding that this can increase yields from 100-250 kg per ha, depending on the crop. Though some farmers use mineral gypsum, which contains 13-18 per cent sulphur, scientists say the fertiliser is not viable since an additional fertiliser like dap needs to be added to it. This demands further expenditure. Inspite of the subsidy on gypsum, this will not be cost effective. Pyrites with 22 per cent sulphur content, used mostly for alkaline soils, does not contain sulphur in the sulphate form, hampering its easy absorption by plants. Rahul Noronha, a farmer from Raisen district, says "The need of the hour is to get farmers to get their soil tested and then use requisite fertilisers." Hemraj Singh, a small farmer cultivating 6.25 ha at Mohra village in Shivpuri district has sown soyabean and groundnut this season. "dap is best for the crop," he says. dap, popular among small farmers, is a composit of nitrogen and phosphorous which is appropriate for oilseeds. But according to experts, it has less sulphur, a fact many, like Hemraj, are unaware of. The farmer had even got his soil tested once. "Farmers use such fertilisers because they are cheap and easily available," says Ravindra Sahu, assistant director (fertilisers), department of agriculture, Madhya Pradesh. "The government needs to promote the use of sulphur-rich fertilisers at a low price," says Mahavir. Spurious ssp reaching the market also needs to be fixed, he adds. The department of agriculture acknowledges the downfall in production but does not admit that farmers are ignorant. According to the officials, the department is working on methods to increase sulphur in soil. Four laboratories in the state are working on the problem, say department officials. They claim to have taken measures to train 100,000 farmers through farmers collectives like kisan mitr and kisan didi. This, according to them, will ensure that every village has one person trained on agricultural practices, techniques and soil nutrients and their deficiencies. In addition to this, 19 agricultural training centres will educate village extension workers and the farmers. 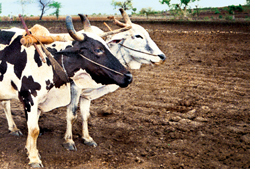 A S Patil, joint director of the department, says, "Farmers are taking steps to check the problem. dap is not being supplied everywhere; all dealers have been asked to stock ssp, especially in sulphur-deficient areas. 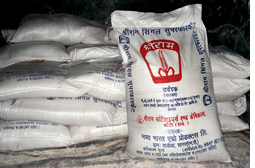 "The government has given subsidies to ssp manufacturers to sell the fertiliser at a cheaper rate--one bag (50 kg) of ssp for approximately Rs 171. The department says it is planning to distribute 3.5 lakh tonne ssp to farmers for the 2007 kharif season, of which 2.9 lakh has already been distributed. Officials say that mineral gypsum is also available at 50 per cent subsidy under the Intensive Scheme for Oilseeds Pulses Oilpan and Maize initiative by the agriculture department. Patil says the nutrient index of land of every block and district is available with the state agricultural department. However, according to Mahavir, the need of the hour is a policy where "the government should do systematic soil fertility evaluation census and scientific mapping every five years." Rao is hopeful and feels the agricultural debacle can be checked in the near future since swift measures are being taken to address the problem of sulphur deficiency in Madhya Pradesh.